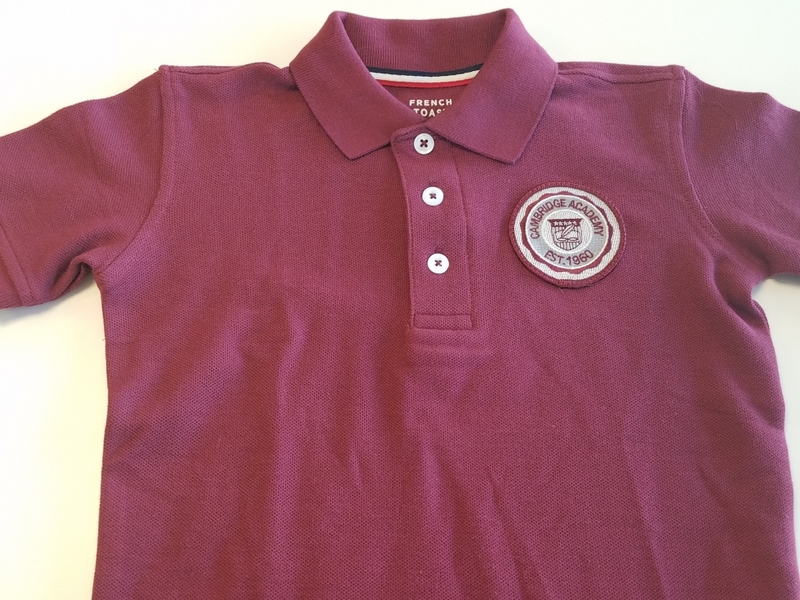 Cambridge Polo shirts start at $11.99 for the toddler sizes and increase to$13.99 for the larger sizes. Long sleeves are a dollar more. These are worn by all grades for both girls and boys as the Spring uniform. Boys in PreK and Kindergarten wear the long sleeve variety as the Fall Uniform.